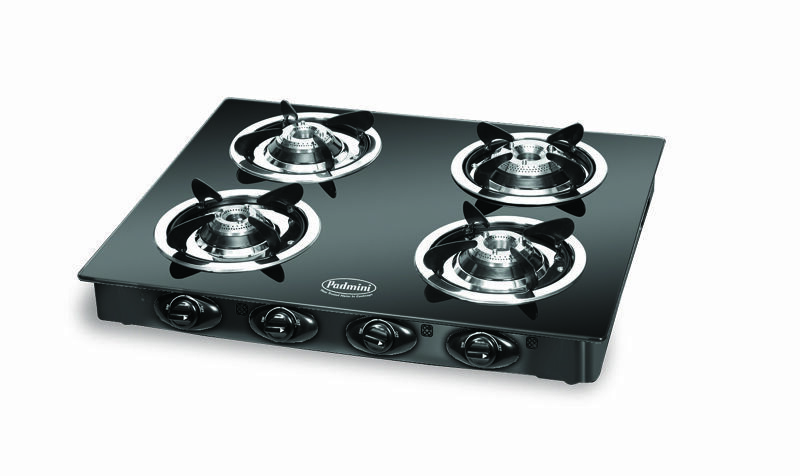 For any smart home maker, Padmini CS-4GT Prima Crystal Black 4 Burner Gas Stove is must. This kitchen appliance has aluminium alloy burners fitted on stainless steel frame. This gives it a very sleek look in your kitchen. It also boasts stainless steel drip tray and designer knobs, which help you turn the stove on and off easily. In case of fire emergency, its toughened glass with fire proof film gives the product extra protection. Among other useful features, there are multi direction gas inlet nozzle, stain resistant glass top and blue flame. Now enjoy your daily cooking with this beautiful gas stove.